.99 For Two Days Only!!! 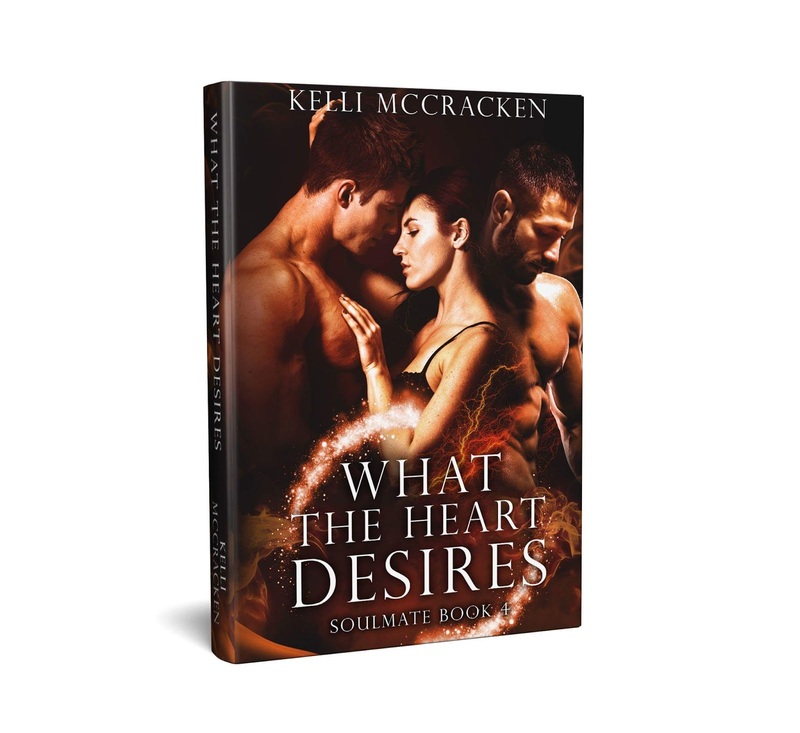 After reading What the Heart Takes, Book Three in the Soulmate Series, I honestly didn’t think that Kelli could make these books any better. That book just amazed me. Well, color me wrong. Kelli blew my mind with this book. Amazing, Incredible and simply Fantastic. I cannot begin to tell you how much I truly loved this book to give it justice. 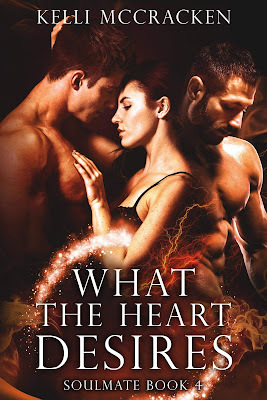 This book starts where What the Heart Takes left off. In this book there is so much happening with not only our main three characters of Layne, Heaven and Dylan. But we are introduced to new and old characters a like. We learn more of Heaven and Layne’s true connection and not what they have been led to believe. Hope and Faith reveal and are given revelations that we didn’t know before. The road is not easy for any of our favorite characters. Let’s not forget that Heaven is about ready to give birth to her and Dylan’s first child. 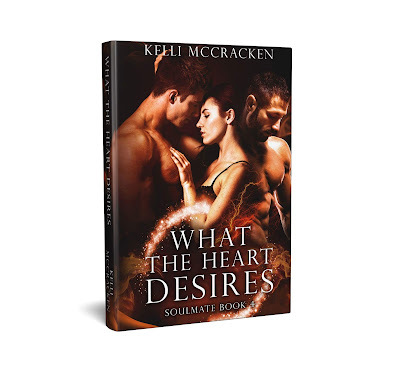 Many twists and turns keep you engrossed and enthralled in this world that Kelli has created for us. She pulls us in once again and we better buckle up because the road ahead is full of shocks, surprises, and she lights us on fire with the heat and passion between her characters. This is one book I will definitely read over and over again and order the hard copy of it to put in my library permanently along with the rest of this series. I hope Kelli never ends this series as the characters have become part of my family. A true Author is able to pull you in and weave their story around you and make it part of you. 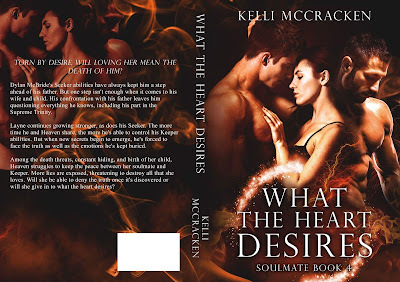 Kelli is one of those Authors. I rate this book highly and unfortunately I can only give it five starts because if I could I would give it more and more. This is a book that needs to be added to your TBR list immediately. If you haven’t read the books in the series, then please read them and enjoy this series as I have. 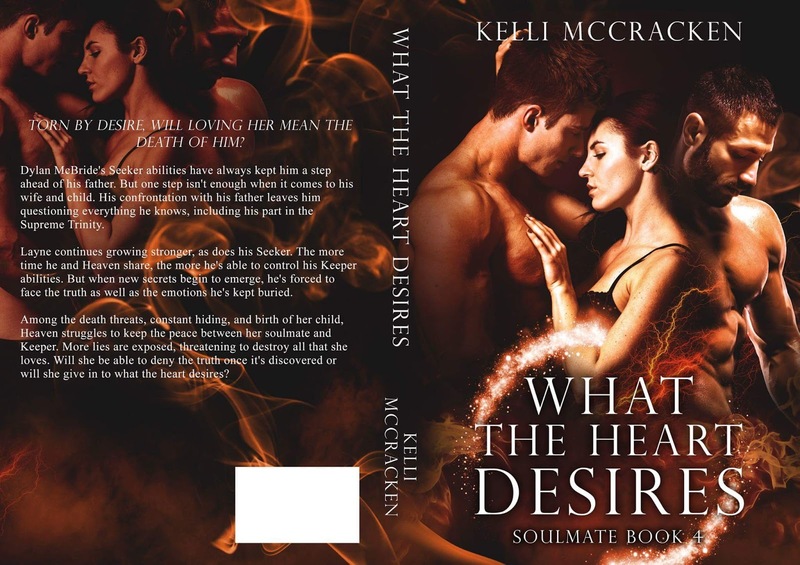 I can’t wait to see where Kelli takes us next I know one thing for sure What my Heart Desires is more Soulmate Series and Kelli McCracken.